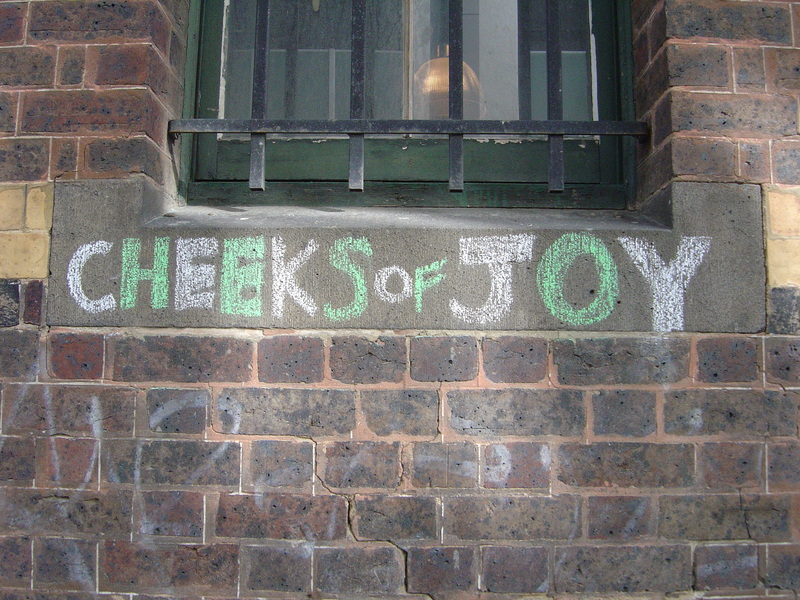 I’ve noticed an increase in chalk graffiti in Melbourne, a very old school approach to graffiti. 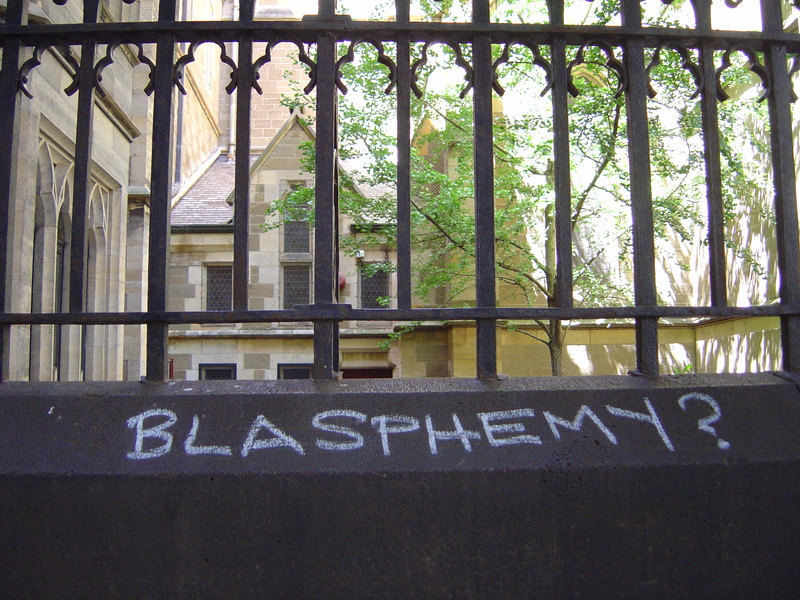 Is this a response to the anti-graffiti laws or just one prolific writer who has chosen to use chalk? 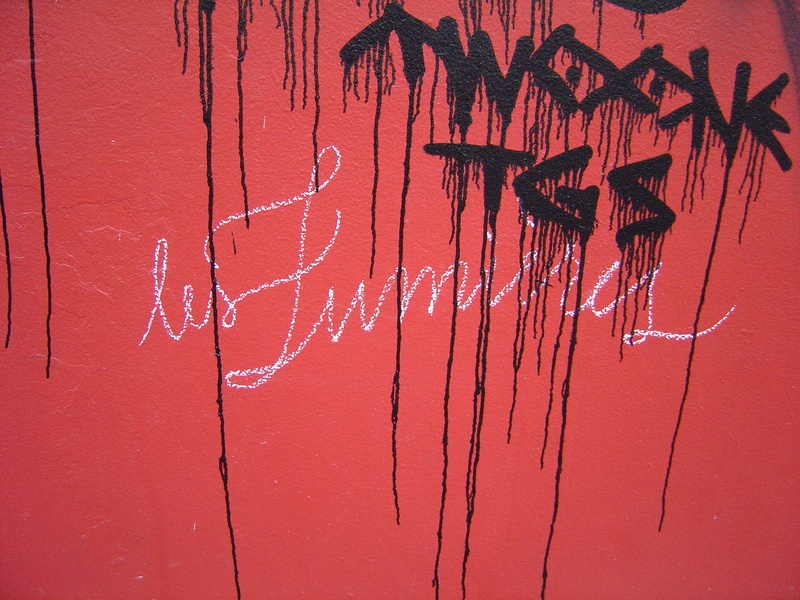 Well some of the chalk is by Miso writing “Les Lumieres” in her best copperplate script, a homage of sorts to Arthur Stace’s “Eternity”. Self-referential street art that comments on street art itself (see my original blog post about self-referential street art). 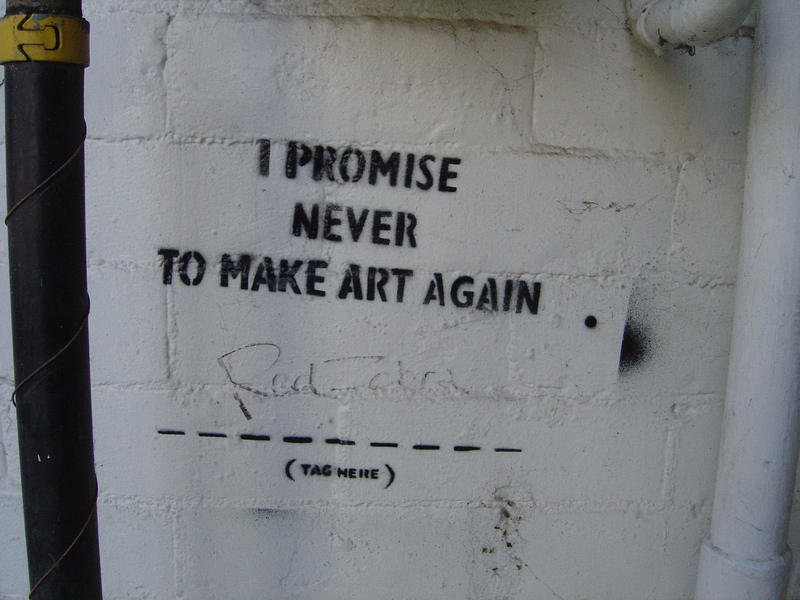 And as street art is itself a political action the self-referential street art comments on the politics of street art. 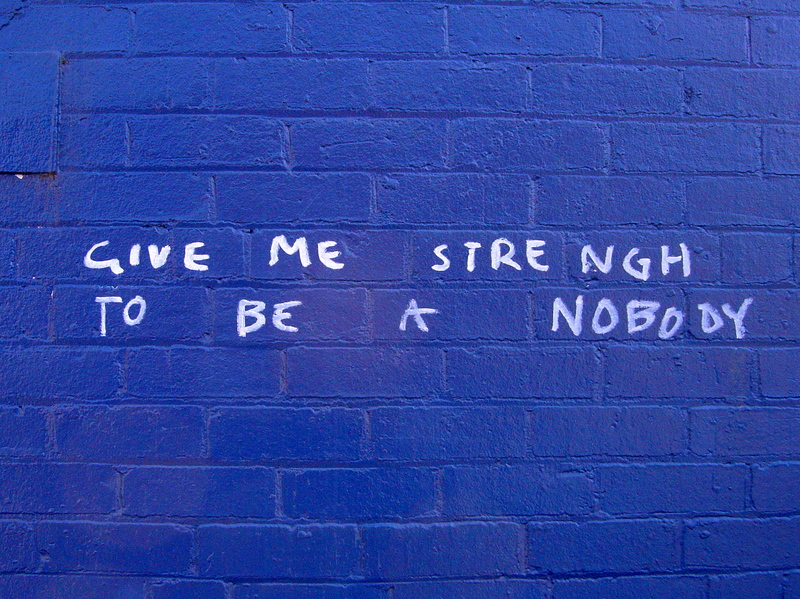 I am particularly taken by discussions about the desire to be famous in street art. 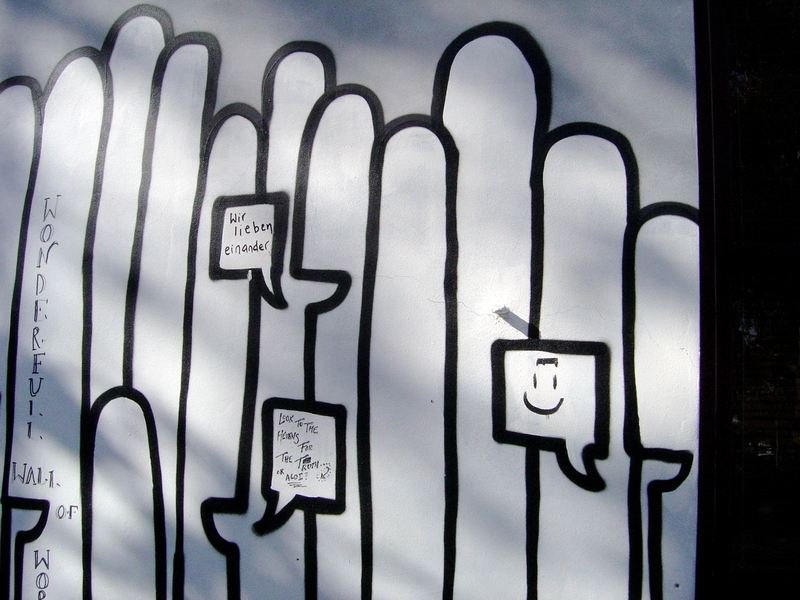 To be famous, to be a ‘somebody’ is in conflict with the legal need for street artists to remain anonymous. 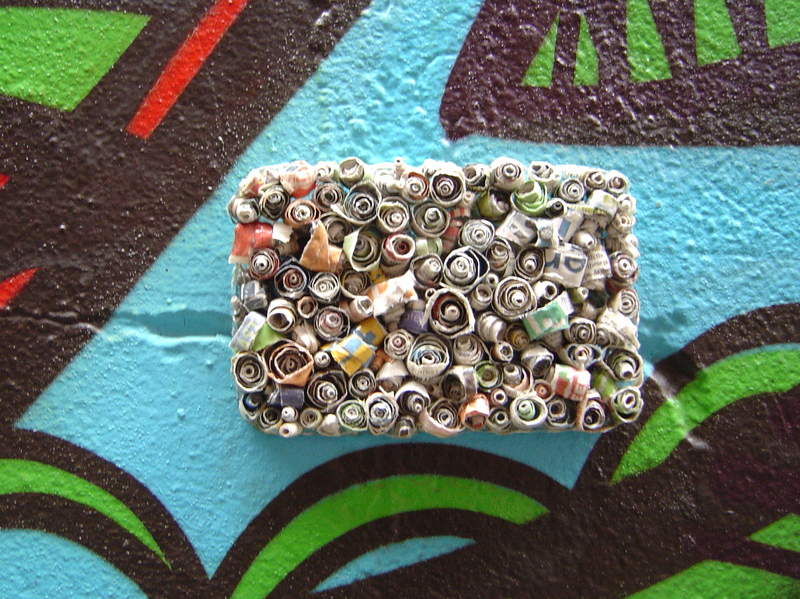 Paper quilling as street art – someone is always trying something new in Hosier Lane. 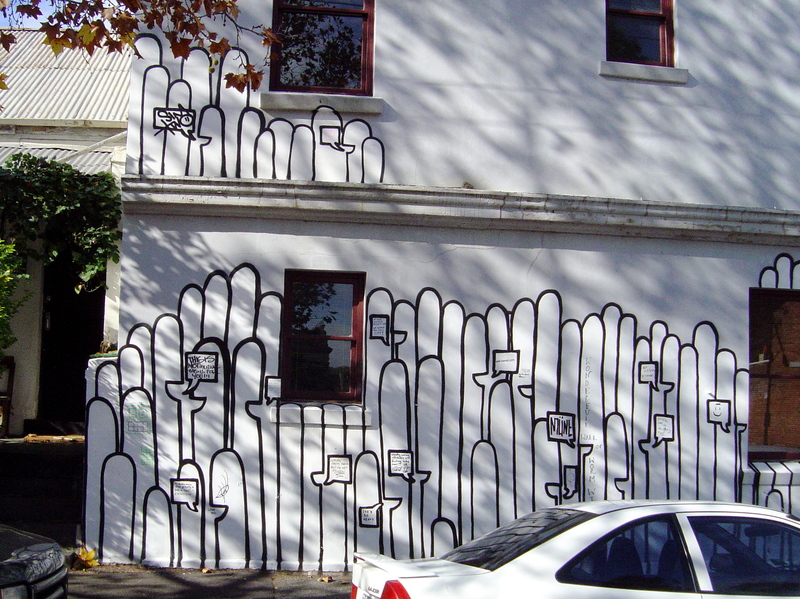 This house in Fitzroy has a great concept that engages in a dialogue with the street. This large legal work on the side of a house in Henry St., Brunswick, is a tribute to Dr. Seuss’s illustrated children’s books. It is the work of the Per Square Metre crew: Duate, Dabs, Askem, Sear, Xygm and Race. Dr. Seuss’s own quirky drawing style developed because of his own perceived inability to draw in a conventional manner. The Per Square Metre crew have done their own thing mixing Dr. Suess’s style and characters with their own calligraphy. They have densely packed the space with interconnecting images that flow across the architecture. 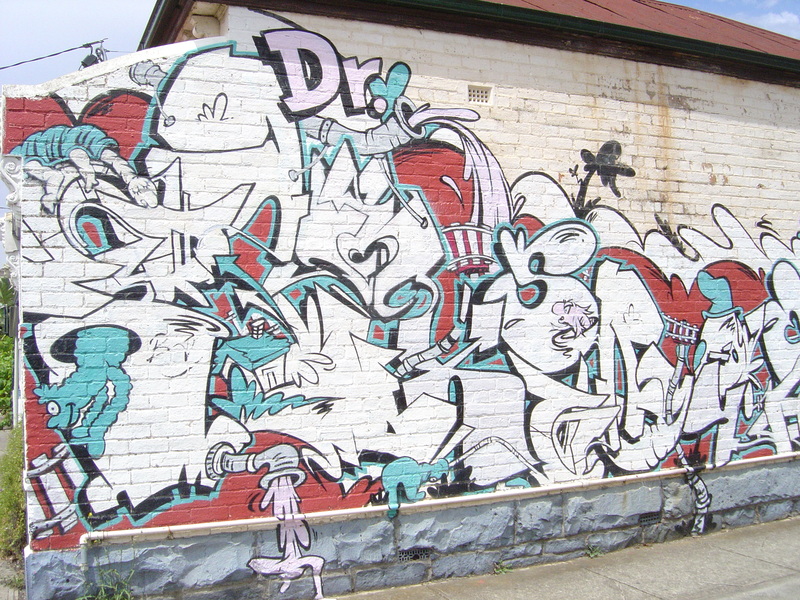 If you love good aerosol art or your children love Dr. Seuss you must see this work. It has been there for four or five years and remains undamaged except for the removal of one painted shutter featuring the cat in the hat that I presume was removed by the owner for some reason.